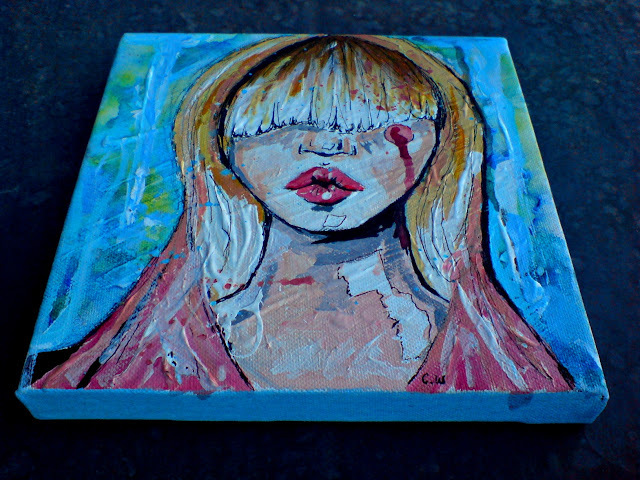 This is a mini canvas that I finished yesterday, partly inspired by Kate Moss. I primed the canvas first with a thick layer of acrylic which has given it a really textural look, and I'll probably experiment with this technique again in the future. Thank you all for your comments :) I'm really glad you like it. Gorgeous! Kate Moss is a great inspiration. You are very talented! Oh I love this! 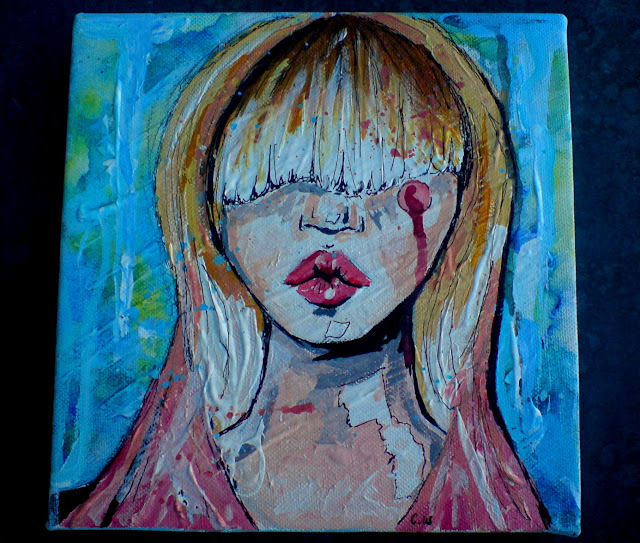 I paint too and have only just approached working with textured canvasses. This is really cool, the colours are great. So happy it sold so quickly! 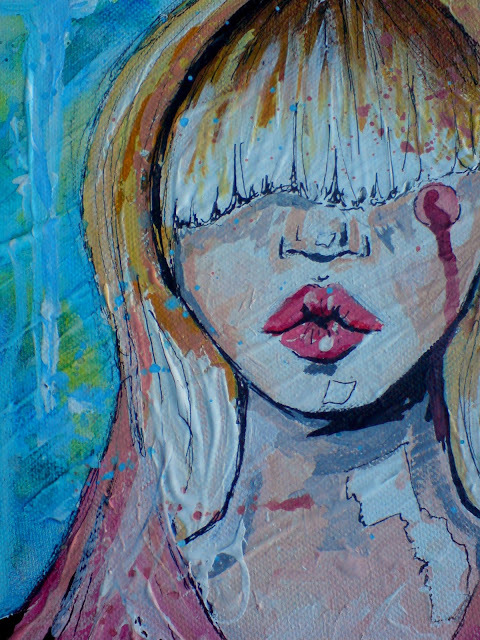 I love how you painted the hair, it looks almost glossy. You're really, incredibly talented. I love your illustrations! You're super talented. Really wonderful piece! It is a great composition and color choice. Looking forward to seeing more of your arts! Thank you guys, you are all so sweet! Wow you are very talented, you have a new Fan!!! wow you are REALLY talented! please see it and tell me if you like!And if you like my blog, please follow me!